While millions of Americans watched the marriage of Will and Kate, few are probably even aware that the Netherlands will inaugurate a new monarch today. (Unlike in Britain, Dutch monarchs are not coronated. They are inaugurated.) What makes this one particularly interesting is that after three successive queens (Wilhelmina, Juliana, and Beatrix), the Dutch will have a king for the first time in 123 years. As monarchies go, the Kingdom of the Netherlands is relatively young—just two centuries old. However, the relationship between the Dutch people and the House of Orange goes back another two-and-a-half centuries to when William (Willem) of Orange became the reluctant leader of Dutch independence. Think George Washington, in armor. Back in the 1500’s—through a series of royal marriages, intrigues, and conquests—the Low Countries came under the rule of the Spanish Empire. At that time, Spain was the richest, most powerful country in the world, her coffers flush with New World gold and silver. She was also militantly Roman Catholic, badly managed, and with a monarch as near to an absolute ruler as any in Renaissance Europe. Eighty years of battles and truces followed. Though war only officially ended with the Treaty of Munster (also called the Peace of Westphalia) in 1648, the Republic of the United Netherlands had been a de facto independent country for decades and was already entering its golden age. 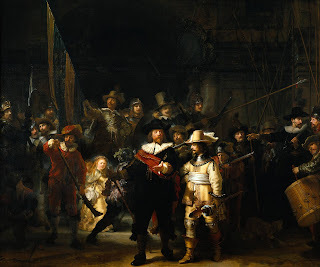 Dutch artist Rembrant Van Rijn (1606-1669) painted his famous work The Night Watch in 1642. Republic? Yes. the new country was not a monarchy, although William (who had converted to Protestantism and was assassinated in 1584) and his heirs were stadtholders. Over the next two hundred years, only Stadtholder William III managed to rise to the title of king – of England! A century later, the Netherlands fell to Napoleon. But after his defeat at Leipzig, the once again independent Dutch brought back the heir of the last House of Orange stadtholder, this time as King William I. The Congress of Vienna, the royals and nobles who made the decisions regarding the dissolution of Napoleon’s empire, had seen enough of republicanism in France, and the newly created Kingdom of the Netherlands met with their approval. At the point where the modern world began its shift from monarchial to republican forms of government, the Netherlands traveled in reverse direction. C.J. Eernisse Chase still gets a kick out of repeating the (no doubt badly mangled) Dutch phrases her grandfather taught her. She quit following his recipe for making strong, Dutch coffee, however, after her first attempt when she nearly choked her mother with the powerful brew. what a complicated yet cool video! my family used to live in West Germany when i was in 1-2-3rd grade. we visited the netherlands, and i remember not understanding why we called it Holland and also called it the Netherlands. now i know. CJ, since I live in a Dutch town that celebrated "Holland Happening" this past weekend, I found this quite interesting. I didn't know William and Mary didn't have children. Or if I did, I'd forgotten. Great post. I forgot to add, there used to be a motto here, and some people still have the bumper sticker on their car: "If you ain't Dutch, you ain't much." Suzie, the College of William and Mary is also named for them. I have another saying you can use on your Dutch neighbors. 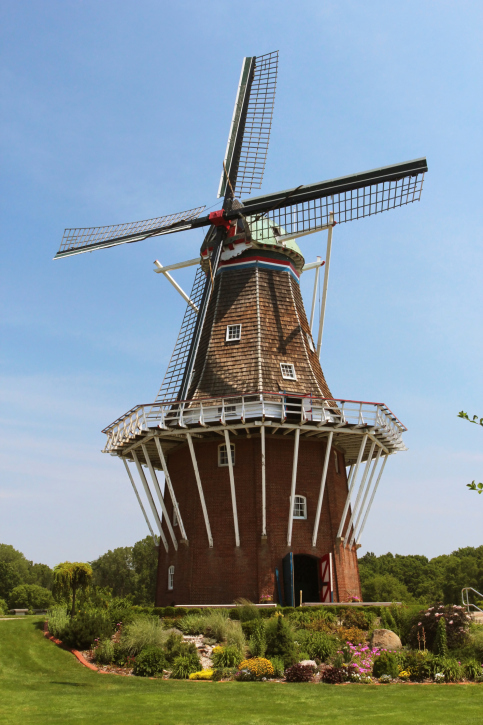 "You can always tell a Dutchman -- but you can't tell him much." This a great post, C.J. And cleared up some confusion. But I was at least 'Up' on the St/Sint Martin/Maarten issue, after visiting that island and both countries. I feel so much smarter now. And I did see some photos of the inauguration, today! finally got home to watch the last video. laughed aloud and actually learned some stuff i didn't know before (although i have to admit to knowing a bunch of the first half of the video). speaking of - where did you find that gem? cool post. any royalty stuff is interesting to me, I guess because the United States doesn't have anything of the sort. of questions for you if it's allright. Could it be only me or do a few of the remarks appear as if they are left by brain dead individuals? :-P And, if you are writing at additional places, I would like to follow you. Would you post a list of all of your social pages like your Facebook page, twitter feed, or linkedin profile? Fantastic video, CJ, thank you! I have always been confused about how Holland fits in because when I was in the CAF, we used to send messages to The Hague, Netherlands, but when Nelson was sent back to testify at the war crimes tribunal and we wanted to look it up, we found it at Holland.com (like the video says). A couple weeks ago, a former exchange student from West Germany came back to visit and I asked her. She confirmed Holland was a province and since we have provinces in Canada, I finally understood. But that was just a few weeks ago.